Ability Text: Untap all creatures you control. Creatures you control with flying get +2/+2 until end of turn. 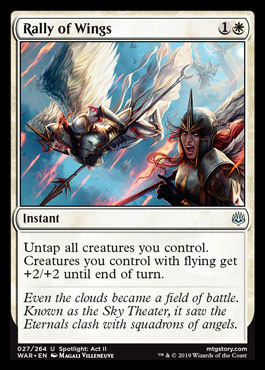 Flavor Text: Even the clouds became a field of battle. Known as the Sky Theater, it saw the Eternals clash with squadrons of angels.